I am getting sleepy just reading this, lol. I will have to try making this! I just contemplated buying some of this spray and decided it WAS a little pricey. Good timing. Love lavender! I keep spray by my bed and when I have trouble sleeping, a quick spritz and I soon fall asleep. i will have to try making my own spray. I should also look into making my own oils. I grow quite a bit of the stuff in my gardens. Very cool! Would make fantastic gifts! your are too funny!! that’s a lot of great info!! thanks! I love lavender. I think I need to give Lavendar a try as i don’t usually sleep well. This is a great idea and thanks for the recipes. Those are so pretty. I have lavender in my herb garden because it is my favorite scent (well maybe it is tied with ginger). I should dry it to make some myself. Cute!! Thanks for sharing your recipe for the spray too. I will give it a try! Where do you get your dried lavender BTW? Love the combination of linen and lace of your sachet! 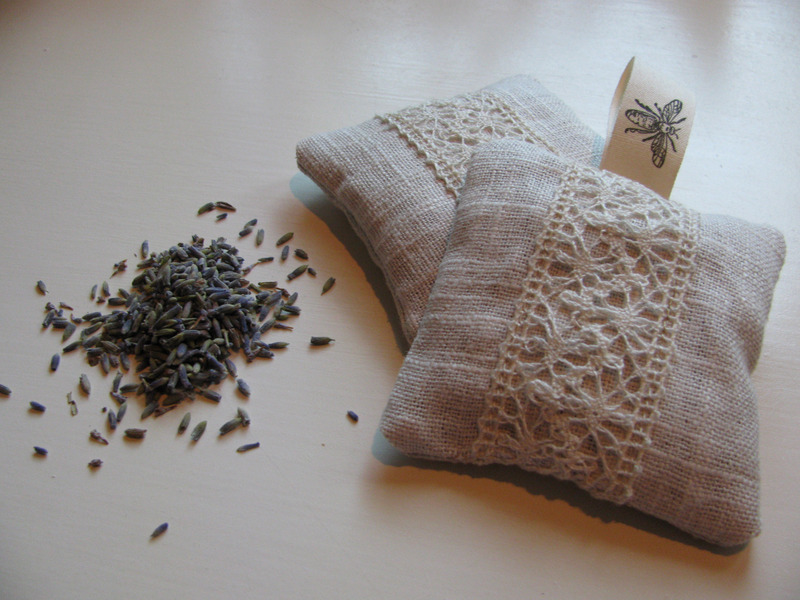 I must try the homemade lavender spray also – thanks so much for sharing!